Serving 44 million passengers in 2016 and experiencing six per cent year-on-year growth, Toronto Pearson International Airport is a rapidly expanding global hub. To keep pace with this growth, the airport’s terminal facilities have been frequently redeveloped. Manager of Terminal Development and Activation, Paul Schenk, discusses the airport’s systematic transition planning approach to ensuring facilities are activated in a timely and effective manner. Toronto Pearson’s development projects have historically focused on maximising capacity, providing additional infrastructure, accommodating security changes, regulatory and technological change, improving passenger experience, modifying passenger flows, and changing baggage flows. Most of these changes and improvements have required substantial modifications to existing facilities (hosting live operations) or ‘greenfield’ projects (new construction, not in an already operational space) to add new facilities. However, given the complexity of the facilities, sophisticated systems and new processes, bringing new or modified spaces online can introduce a significant risk to operations. 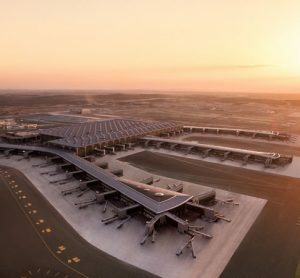 In order to mitigate the risk associated with these types of projects, Toronto Pearson has used a well-defined activation programme, which was first implemented prior to the opening of Terminal 1 in 2001. 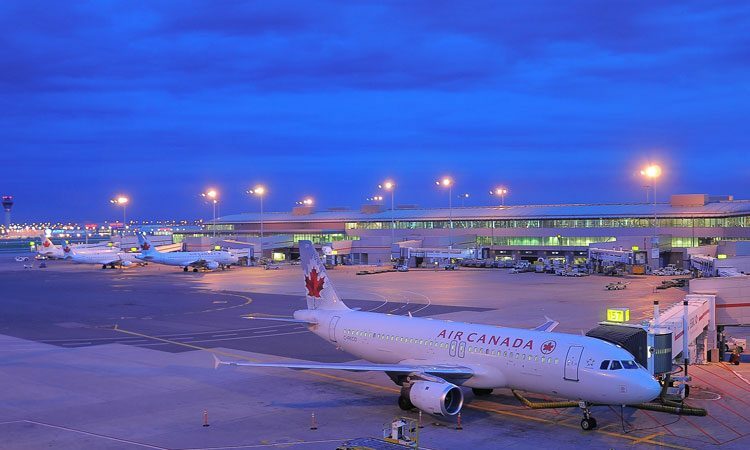 This programme has been refined over a number of subsequent large airport activation projects, both at Toronto Pearson and in assisting other airport activations. 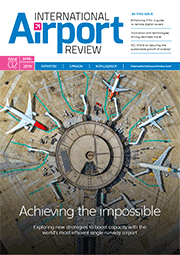 The Activation programme used by Toronto Pearson is guided by the methodology laid out in ACRP Synthesis 20 – Airport Terminal Facility Activation Techniques; a document developed by Arup and published by the Transportation Research Board. In early 2015, a number of improvement projects were well underway at Toronto Pearson, and many new operational spaces were being prepared for opening following months or years of construction. Some of the critical projects that required activation programmes were the re-opening of a fully reconstructed satellite terminal facility (Terminal 3 Pier A), Security in Advance projects in Terminal 1 and Terminal 3, and the introduction of a number of self-serve bag drop projects. With so many interconnected pieces of work happening at one time there was considerable risk to manage and any delay to schedules had the potential to cause significant operational issues. Once construction is complete, how do we ensure that the people who need to operate in these spaces are ready, trained, and familiar with the facilities and systems? How do we make sure that all the systems and processes related to these new spaces have been properly tested and trialled? How do we ensure that everyone is prepared for the opening day and that they have a plan to move into the new space? Essentially, how do we assure ourselves and our stakeholders that the new spaces will deliver from a state of contractually complete to operationally ready as expected in order to be certain of a successful opening? In spring 2015 a small activation team was created, which comprised a manager, technical writer and a terminal operations expert. As a team, in collaboration with our many stakeholders, the group began working on creating or updating Standard Operating Procedures (SOPs) and contingency plans, developing and delivering critical familiarisation and training packages – including information on new systems and flows – communicating critical information to the internal and external community, trialling new systems and processes, and supporting a smooth transition. Activation working groups were critical to the success of major activation projects and used to leverage invaluable subject matter expertise from the various teams involved in project delivery and from those that would be operating in the new spaces. Working groups were formed and brought together for three to six months prior to activation. Meetings were held each week to discuss the current progress of construction, training and familiarisation requirements, as well as delivery, trials and transition updates, and the status of planning for opening day. Having all impacted stakeholders together in one room on a weekly basis allowed for the efficient gathering and transfer of information, the opportunity to ask questions of subject matter experts, and to build a strong ‘team’ mentality that allowed everyone to feel that they could succeed together. Terminal 3 Pier A (a previously closed and fully redeveloped terminal project) was the first project that the newly formed activation team worked on and delivered. Essentially a greenfield project, Terminal 3 Pier A was a satellite terminal that had been closed for a number of years. The team delivered this project by following the critical components of a well-tested activation programme and ensuring that required operational procedures and contingency plans were in place. Once the documentation was underway, the team focused on familiarisation training for the new space, which was constrained by continuous construction activities right up to opening day. In order to facilitate onsite training and familiarisation, 70 sets of safety boots, hard hats, safety glasses and vests were purchased to allow participant access to the facility prior to the official full green light on occupancy. Guided tours through the facility, as it neared completion, were coordinated and facilitated by the activation team. Overall, the relatively small cost of purchasing this safety gear was worthwhile in order to keep a fixed opening day and still allow staff time to tour and understand the facility layout. In this instance, many volunteer airport employees were engaged to facilitate wayfinding trials, since these could not be completed by external trial volunteers given the construction conditions right up until opening day. The Security in Advance projects were a stark contrast to the greenfield Terminal 3 Pier A activation project – the biggest challenge of which was rolling out the changes while in live operation areas. This programme involved flipping security screening in advance of U.S. pre-clearance facilities in both terminals at Toronto Pearson. Given the complexities of these programmes and the many changes that took place on a daily basis, the activation projects were treated as a series of mini activations. Passenger and employee flows changed frequently and needed to be properly identified and communicated. The activation team worked closely with the GTAA communications team and other key stakeholders to ensure that critical information was disseminated in advance of changes. During the Security in Advance projects there were many new elements added to baggage handling systems, especially in Terminal 3, and all of these new elements needed to be trialled as they became available. As we launched the Security in Advance programme at Terminal 3, we also integrated a new 3-Level Hold Bag Screening system, a new Self-Serve Bag Drop system, and BIWIS (Baggage Image and Weight Identification System) to satisfy baggage review/recall requirements for U.S. Customs and Border Protection. Overnight, commissioning work was carried out to test critical changes to the baggage system and test bags were sent through prior to start up. During the day, the system was trialled with live passengers and live bags to ensure changes were operating as anticipated. A team of more than 20 people supported and closely monitored these trials. The critical factor in these live trials was to ensure a ‘no harm’ environment in which passengers were not inconvenienced and included crucial contingency plans for each trial. The team started with very small trials – a few bags at a time – and kept building on each success up to and including the point at which all available bags during peak travel periods were tested. The Terminal 3 Security in Advance programme included 27 trials of various sizes and scope. 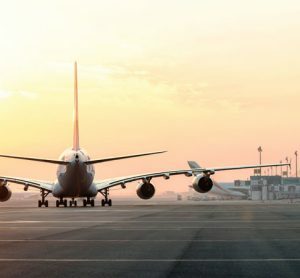 Organised by the activation team, these trials included the airlines, government agencies, baggage system maintenance and operations teams, terminal operations, as well as the numerous project teams and vendors. These trials allowed time for people to learn the new systems, to build confidence that the systems could deliver as expected, and to work out any serious concerns in a stable environment prior to official opening. Major project opening days were also supported with a transition team and a transition plan. The transition plan put together all critical information related to the project (such as maps, SOPs, contingency plans, key contact information for various stakeholders, etc.). Transition planning typically started at 90 days out by creating and working with 90-60-30 day checklists running up to opening day. By using these checklists the activation team was able to keep track of all critical elements that were essential to a smooth opening day. Transition teams were put in place and were on site approximately 24 hours in advance of opening for some of the larger projects, such as the Security in Advance programmes. The transition team would report in person or by phone for key update meetings. The members of the transition team were key decision makers and were able to keep things on track for the time of opening and to deal with any last minute concerns. 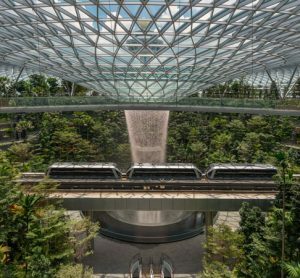 The systematic activation approach used at Toronto Pearson during all of these projects helped to ensure that staff were comfortable in their new spaces, knew how to get there, and that the systems they needed to use were ready when they arrived. This same approach will continue to be used, further refined, and expanded to ensure success as the airport moves ahead with many new planned projects in support of the incredible growth at Toronto Pearson. Paul Schenk began his career in airports at Toronto Pearson as a seasonal snow removal equipment operator in October 2000. 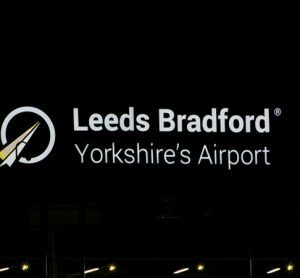 In 2003 he took on the role as an Airfield Manager and held various management roles with the Airfield Maintenance Group until early 2015. 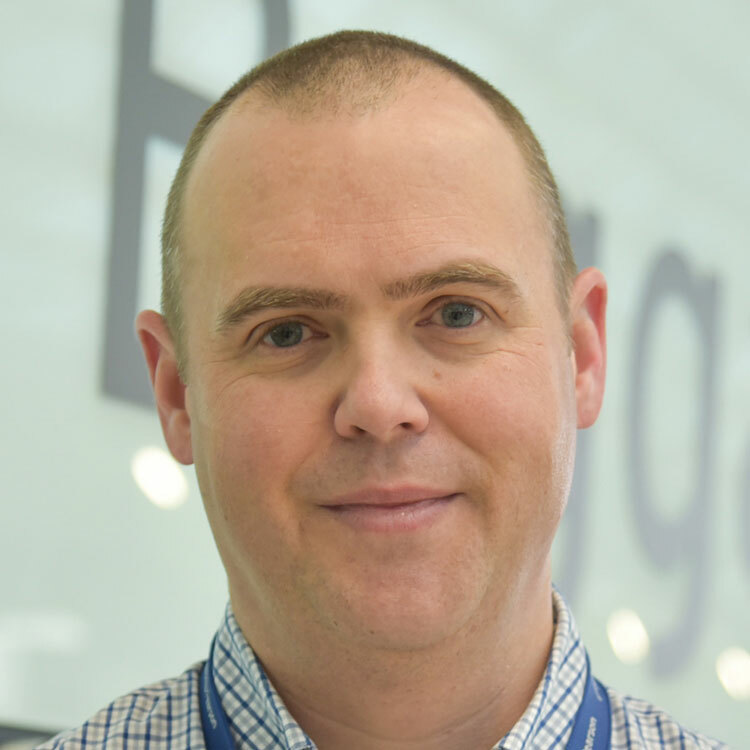 Paul then took his current role as the Manager, Terminal Development and Activation and has been responsible for the activation of numerous projects at Toronto Pearson since that time.